My husband is a meat and potatoes man. Whenever I do meatless Mondays, he tries to be such a trooper. But when you’ve been married as long as I have, you can read your spouse’s mind without him saying a single word. My husband hated veggies when he was growing up and when we got married I made it my mission in life to change his mind. (I’m such a veggie lover!) I was always coming up with new ways to serve veggies and throughout all my hits and misses, I finally realized that he likes veggies that are packed full of bold, unexpected flavor. On weekdays, I try to plan my menus around good, nutritious foods that don’t require a lot of time in the kitchen. Oh, who am I kidding? I do the same on weekends, too. Since my entire family enjoys a good pork tenderloin, my Spicy Pork Tenderloin & Flavor Full Sides has been promoted to my weekly meal rotation. Combine all the rub ingredients and sprinkle on both sides of pork tenderloin. Place the pork tenderloin fat side up in a baking pan. 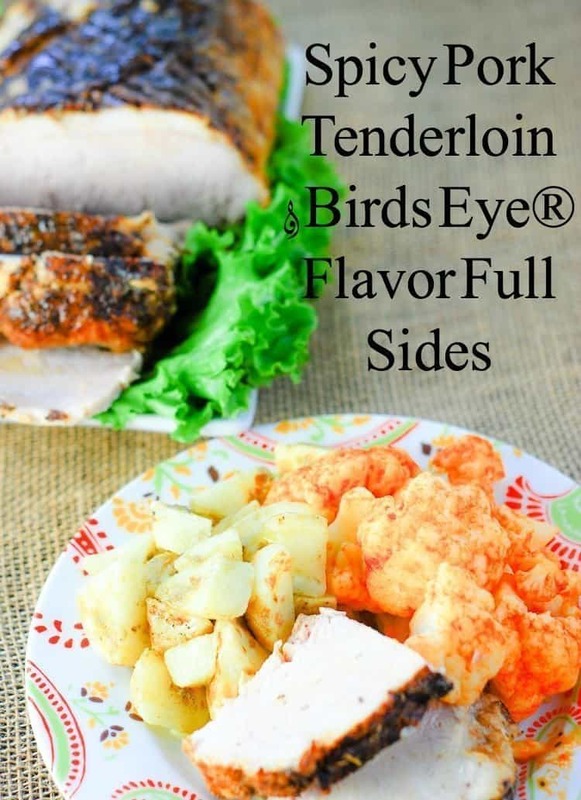 My family and I have been big fans of Birds Eye® Vegetables for years, so I was excited to find the 8 new flavor full varieties including Ranch Broccoli and BBQ corn! You can click here to select the product you want to try and find the store nearest you that has that particular variety. 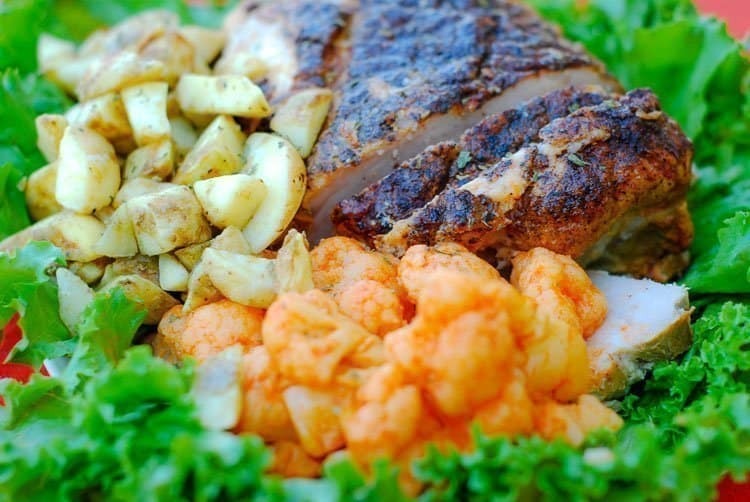 Birds Eye® uses the highest quality vegetables that are harvested and flash-frozen at their peak freshness. With the new 8 varieties, I can serve my family a different veggie every night of the week. And these are veggies that my husband actually enjoys! Should I be jealous? Click here to see all the new Steamfresh® flavors. Which new, bold flavors would you like to try? This all looks delicious. My husband loves all types of pork dishes so he would really like this. These sides look so delicious and so full of flavor. I’m always looking for easy ways to get my kids to eat more veggies. I’ll look for this the next time I’m at the store. Now this is one deliciously looking meal indeed, I have not had pork tenderloin in a while now. I am not big on cauliflower but I do try now and again. Good timing Alli! I had just pulled out a tenderloin for dinner and will try your spice rub on it for a nice change. I love Birdseye products. 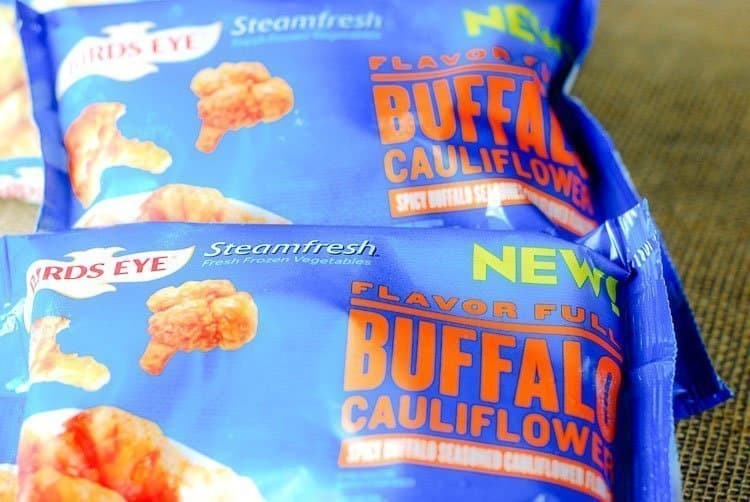 Clicked your link to see the SteamFresh line and the Buffalo Cauliflower looks awesome. I will pick some up next time I’m at the store. Thanks! Birdseye makes some awesome veggie concontions! I love the spices and glazes they put on veggies. I need to buy more of them. We had Bird’s Eye Steamfresh Corn (my oldest’s favorite) for dinner tonight. My kids actually love vegetables and frozen ones make it much easier for me to keep them stocked in the freezer. This is something I would surely enjoy. I would love the rich flavor in every bite. Yum, that looks tasty. Sour cream and onion potatoes? Yes please! You have a great recipe there. Based on the photos, I think it is very delicious. I would try this for the Thanksgiving Day. 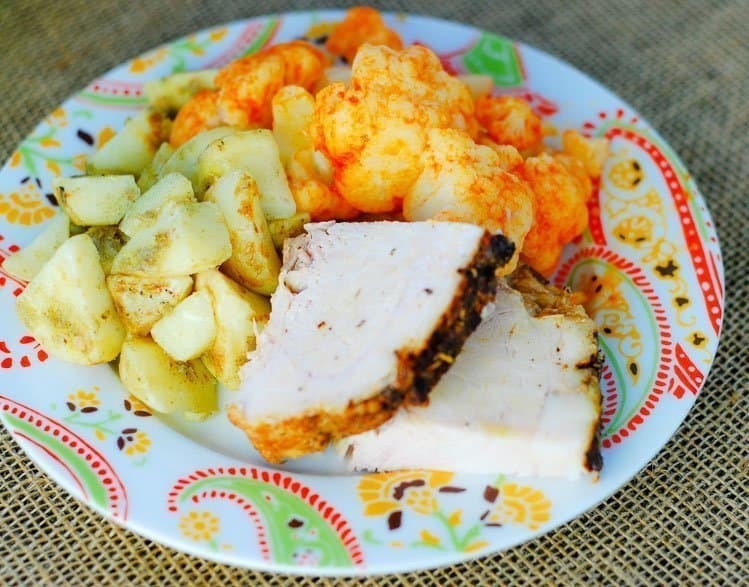 This spicy pork tenderloin recipe sounds just amazing and we will be trying this recipe. I have to try the Birds Eye spiced up veggies too. Wow these recipes look amazing and I’m excited to try Birds Eye specifically. My husband doesn’t eat nearly enough veggies, but with how good these look I don’t see how he can resist! This dinner looks delicious! I am so interested to try the sour cream and onion potatoes and the ranch broccoli. I am a big veggie lover, too! I didn’t know there were frozen buffalo cauliflower bites! I’m going to have to try the side from Birds Eye to see if my family will actually eat their vegetables! This looks so good! And I have been looking for a good tenderloin recipe to try. Amanda Tempel recently posted…Happy Thanksgiving! oh my goodness this looks absolutely scrumptious! I would love to get my hands on some!